Gigabyte displayed a new non-reference Radeon HD 5750 based graphics card that boasts of being silent (passive cooling) that’s also up to 18 °C cooler than the reference active cooler. 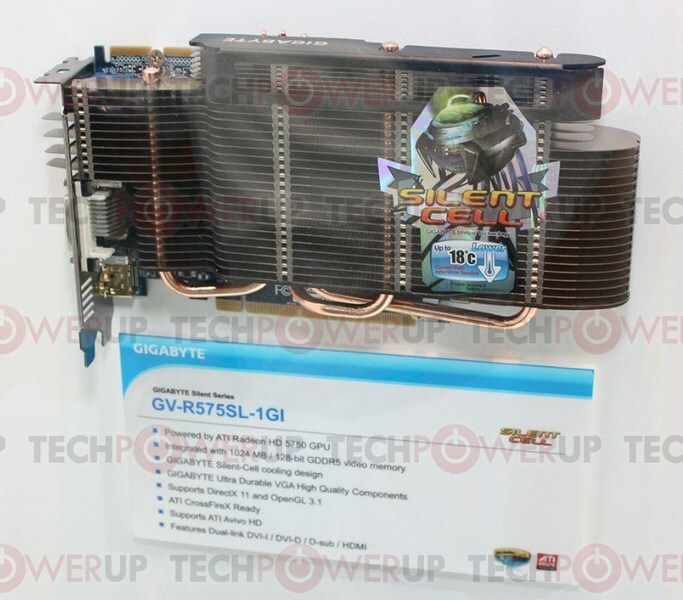 The GV-R575SL-1GI or Gigabyte HD 5750 Silent Cell uses a large passive heatsink that spans across two slots and is a little taller than the card itself. The cooler is an aluminum fin array to which heat is conducted by three copper heat pipes. Display outputs include dual DVI, DisplayPort and HDMI, and it can pair with any other Radeon HD 5700 series graphics card. The card draws all its power from the PCI-E slot. 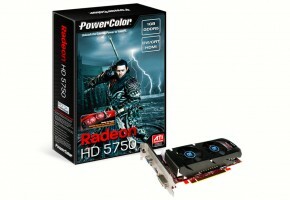 Like every other Radeon HD 5750 card, it has 720 stream processors, is DirectX 11 compliant, and uses 1 GB of GDDR5 memory across a 128-bit wide memory interface.